Watching Whales in Oregon and the Whale Watching Spoken Here® volunteer program. Use the map lower on this page to help find a great place to look for these amazing ocean giants! Join the fun! Our camera located inside the Depoe Bay Whale Watching Center will be live from March 23rd - March 31st from 10AM until about 4PM each day! 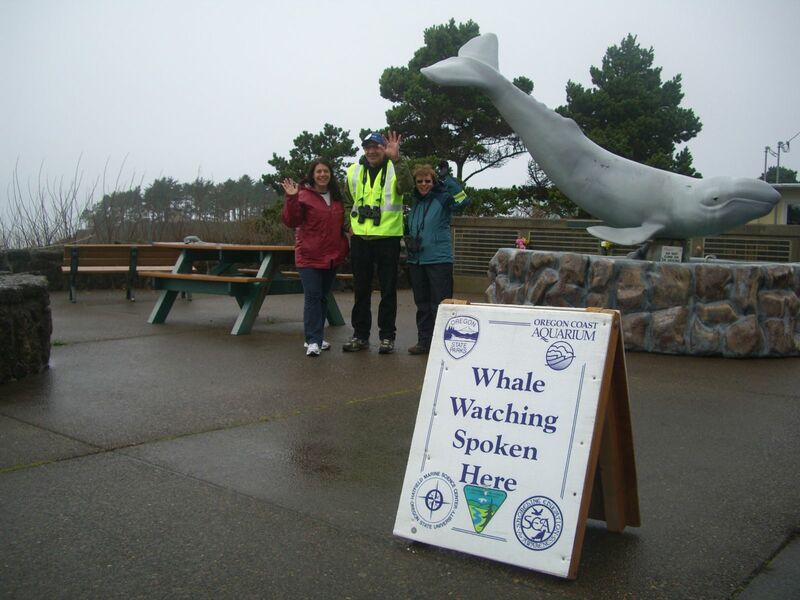 The Whale Watching Spoken Here® program places volunteers at great whale watching sites during the two official watch weeks. Our official Whale Watch Weeks typically take place between the Christmas Holiday and New Year's day and during the last week in March. For more than 30 years, our trained volunteers have helped visitors watch whales at sites in three states along the Pacific Northwest coast. We definitely know whale watching. 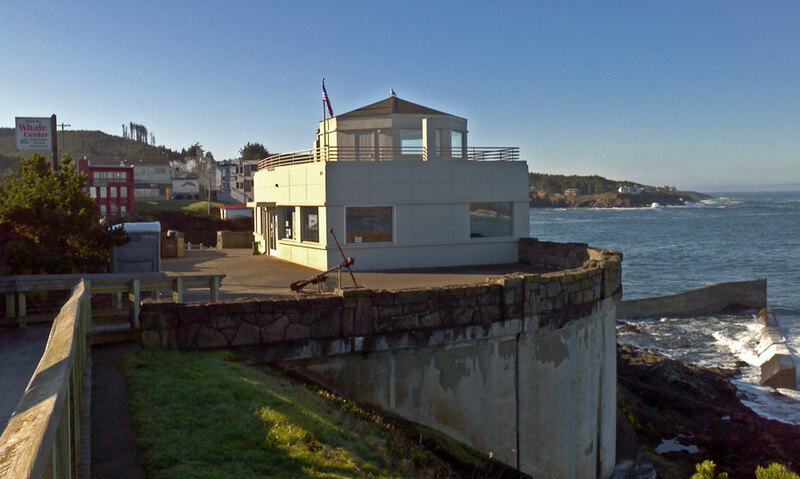 Learn more about whales at the Whale Watching Center in Depoe Bay year round, or join us at any of our locations during the Whale Watch Weeks for an amazing display of ocean life! Spring 2019 Whale Watch Week Announced! Volunteers will be stationed at the 24 designated locations during the above dates from 10AM to 1PM. To learn more about the Depoe Bay Whale Watching Center and whale watching all year long, please click on photo below, or click HERE. Check out this map for a list of 24 designated locations volunteers will be staffed during each of our official Whale Watch Weeks. Even if it isn't Whale Watch Week, these are great locations to be on the lookout for gray whales and other marine mammals! Volunteers at the 24 Whale Watching Spoken Here® sites keep track of the whales spotted and number of visitors during the Whale Watch Weeks.